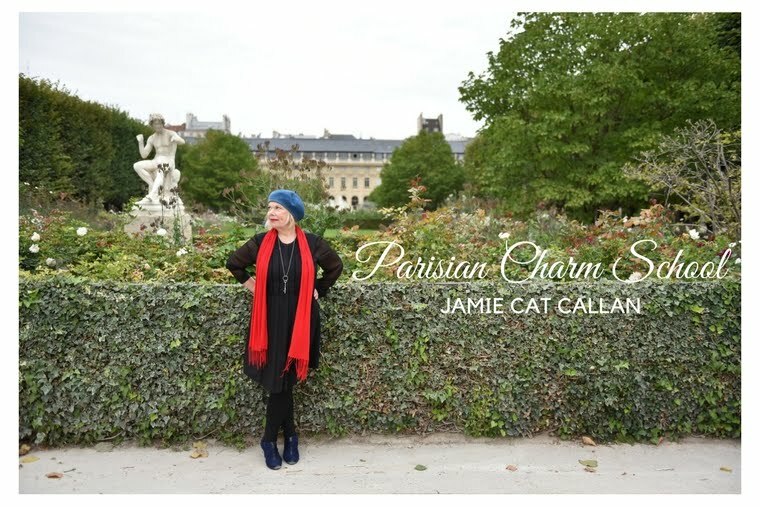 Who says Parisiennes only wear black! I've seen lots of pops of red throughout the City this week. 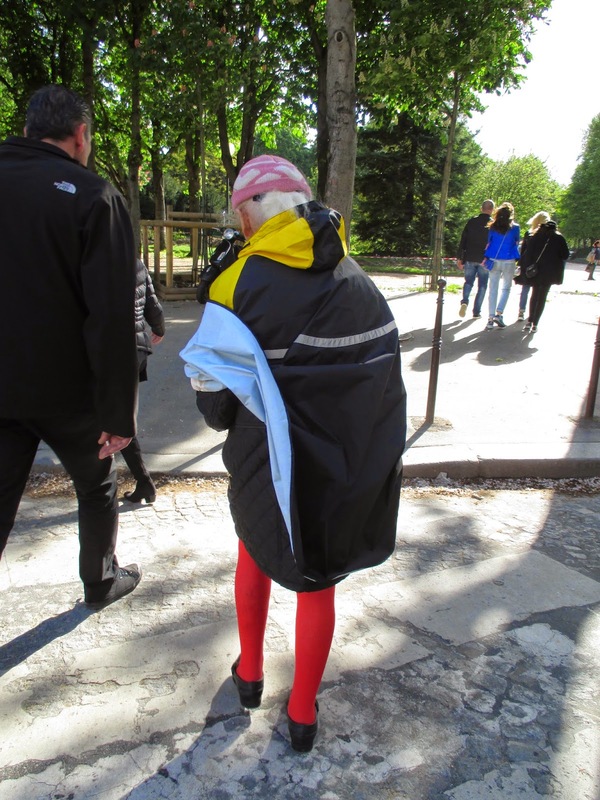 Here's a femme I saw in front of the Jardin du Luxembourg. I like the tan leather jacket combined with the red. Trés jolie. Further into the park, a young woman was quietly eating her lunch and feeding the pigeons little bits of bread. She had created her own Secret Garden. Don't you love the red stockings? If you want to just experiment with adding a pop of red, you could just get a bag or "un sac" like this woman on Boulevard St. Germain. Or, you could find yourself a pair of bright red stockings! 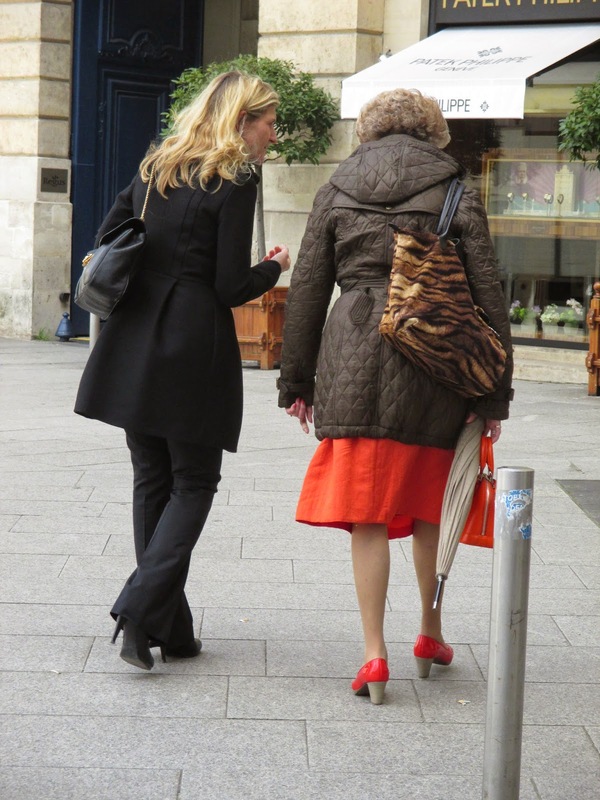 This French woman is actually quite elderly, but she was not giving up on style and originality. Same here. We saw this femme d'un certain age on Place Vendome. Oh, and take a look at her leopard bag. She has joie de vivre! 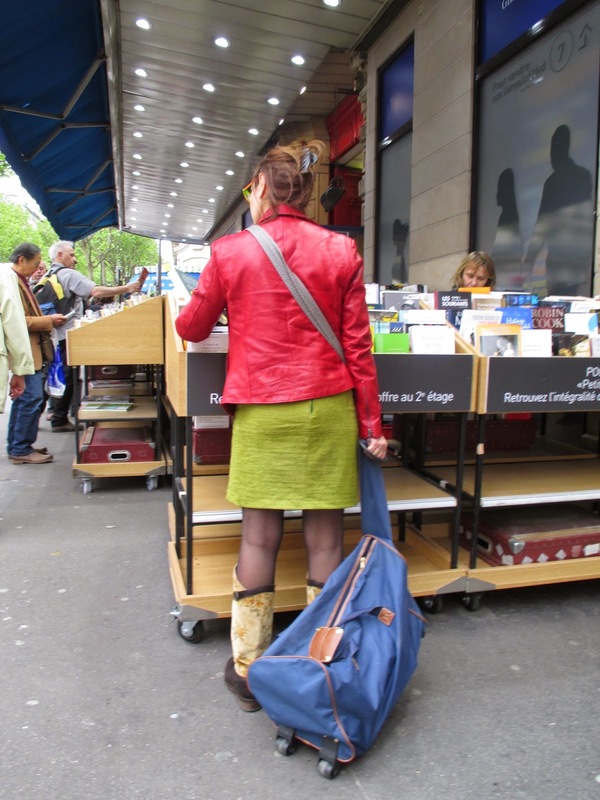 This fashonable gal was looking for books in the intellectual Latin Quarter. J'adore the red leather with the green. And if you're very bold--you don't have to restrain yourself to just a pop of red. 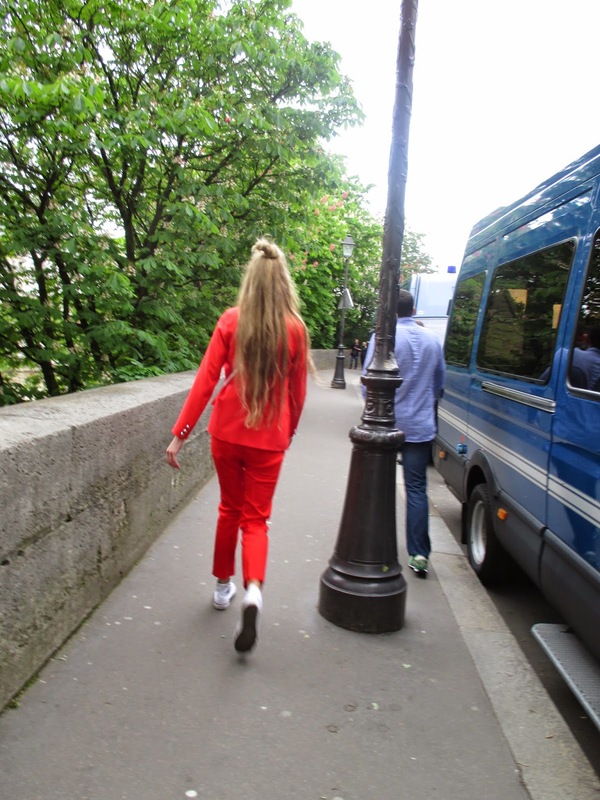 You could go with all red and accent it with a pair of white sneaker/shoes, and walk with a purposeful stride along the Seine, like this woman. Ooh La La! Do you enjoy just a bit of red? I'd love to hear about it, mes amies! Hi Jamie! I really like the all black with the red bag. How can you tell they are locals and not tourists? They look local to me, too, but I don't know why. Ooh...you are in Paris maintenant? C'est magnifique! Hope you are having a marvelous time!